Youth Leadership Development Competition This competition is one of our longest running youth projects and it rewards young people with clear leadership potential based on their extra-curricular activities. Last year we reviewed the format of the competition and we will keep this programme for the coming school year. Winners will visit Belfast and meet with local politicians and business leaders, then we travel to Dublin for further meetings with leaders and then the highlight of the trip will be to debate a variety of motions in the European Parliament in Strasbourg at Euroscola. NB: ALL entrants must be under eighteen years of age on 31st March 2019. 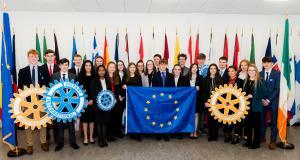 February 2019: Youth leadership 24 district winners go to Belfast/Dublin & Euroscola in Strasbourg. 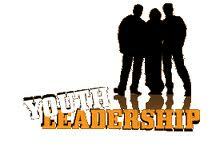 The Youth Leadership Development Competition is run by Rotary Ireland. Submission of a completed Nomination Form is conditional on each applicant agreeing to abide by the Competition Rules. N.B. DATES FOR STRASBOURG TRIP: SUNDAY 3RD FEBRUARY – FRIDAY 8TH FEBRUARY 2019.